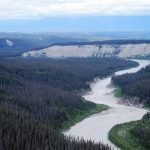 The Tana River, Alaska's "Grand Canyon of Glacial Rivers"
5 Comparisons of the Colorado River in the Grand Canyon to the Tana River in Alaska. There isn’t much that compares to that incredible Colorado River Grand Canyon river experience – whether you rafted, motored or kayaked past those ancient canyon walls. Most folks who have had the luck of being in the “Big Ditch” can close their eyes and remember the beaches, desert beauty, whitewater and luminous pools of calm water! What multi-day raft trip would compare to that experience? Short answer? There aren’t many – but here is one! Have you ever heard of the Tana River? 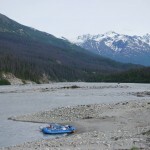 The little known, and even less traveled, mighty Tana River flows from glacial canyons in Alaska’s Chugach Mountains. 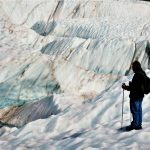 The pristine Mountains of Wrangell St. Elias National Park fame, outside McCarthy Alaska, contain a little known stretch of river that is one of the world’s secret gems of whitewater river rafting. 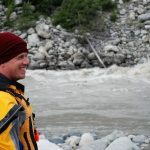 Our Tana River Expedition is a great “next step up” after a Grand Canyon raft trip, or for anyone looking for unbelievable pristine, remote, gorgeous wilderness featuring some of the finest BIG water rafting in Alaska. In this article, we attempt to compare these two incredible river trip experiences that we enjoy so much: the Colorado River through the Grand Canyon, and the Tana River. Our goal is to help you get an understanding of how they are alike and different. While there are many similarities, there are a few significant river-and vacation-defining differences. Let’s take a look! 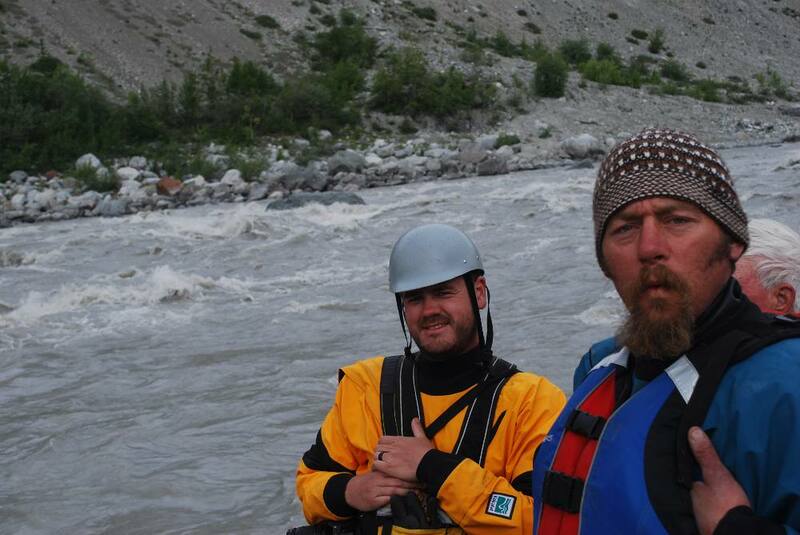 Giant glaciers, 16,000+ mountains, phenomenal whitewater, that’s not too bad! 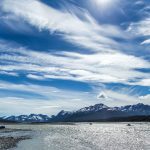 Originating from the Tana Glacier, a lobe of the enormous Bagley Icefield, the Tana river flows North out of the Chugach mountains beginning as a largely braided river before being pinched into a tight walled canyon. Large volume class IV+ whitewater marks this stretch of river! Rapids such as the “On Ramp, “Tubby’s Tilt” and our personal favorite, “True Violence” amp up the adrenaline and add a bit of challenge to go with the unbelievable scenery. Colorado River: There is no doubt, a Grand Canyon raft trip is an unbelievable experience. Being a mile below the rim amid rocks over 1 billion years old, the shear scale can be unbelievable at times. There isn’t much to be said about rafting through the Grand Canyon that hasn’t already been said. Great whitewater, scenery and a really amazing experience. This is some of the most remote country in the lower 48. The catch? 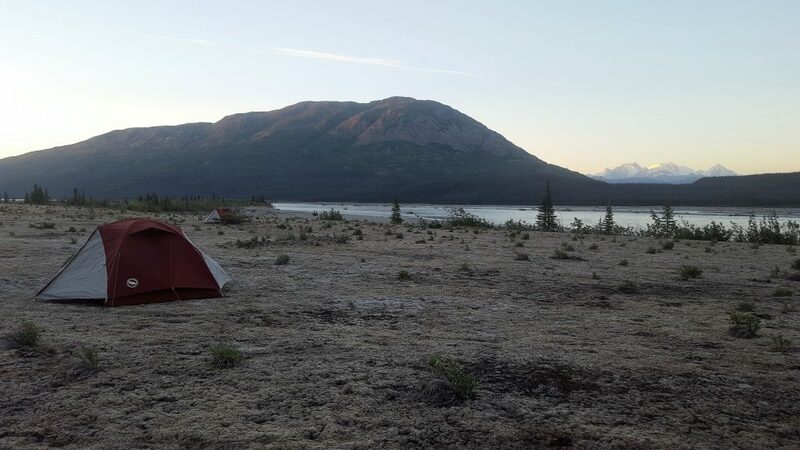 It doesn’t hold a candle to the vast Wilderness of Alaska! 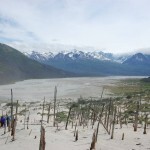 Tana River: The entirety of Wrangell St Elias National Park receives approximately 75,000 visitors per year. Approximately 20-30 lucky souls raft the Tana river every summer. There are not many places in North America that sees this little visitation and it shows! Its rare to even see footprints, truly, there isn’t much to show that other humans have ever been here. Colorado River: The Grand Canyon hosts more than 4.5 million visitors a year! Further, approximately 25,000 of those visitors raft the river corridor every year! The last year that the Grand Canyon had less than 100,000 reported visitors? 1922! 3. Trip Length Options: Grand Canyon and Tana River – hiking to the rim anyone? Tana River: The Tana can be divided into trips of 3 different lengths. 4 days for those pressed for time, you can fly in to the head waters and then fly out from a river side airstrip after running the meat of the biggest whitewater. 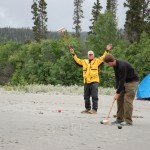 Add a few days and float to the town of Chitina on a 6 day trip. 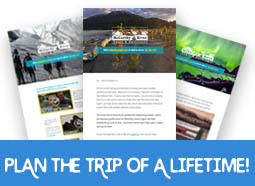 The Chitina river brings you through a mellower gorge with towering mountains of the Chugach and Wrangell Mountain range on both sides. 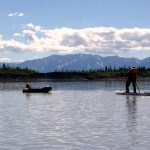 Float past Chitina and head south on the Copper River for For the Ultimate Glaciers to Coast adventure. 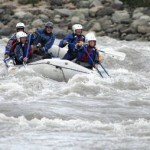 Start a two week journey with roaring whitewater and end it with two GIANT glaciers calving directly into the river. Colorado River: The Colorado can also be scaled, 1-3 days, 1-2 weeks, the presence of motor boats, oar trips & helicopters supplies a lot of different opportunities to scale a Grand Canyon trip. Be aware though, a trip that takes you from Lee’s Ferry to Phantom ranch, typically 3 days with a motor or a week rowing, also requires an epic 10 mile, 5,000 foot vertical gain hike out at the end, you will literally be hiking out of the deepest part of the canyon. 4. 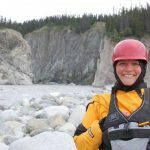 Adventure Level: Whitewater, Side Hikes, Wilderness Remoteness – Tana maxes out! Tana River: This river is for the adventurous at heart. This is remote back-country river travel at its finest. We have a few long scouts of rapids that involve some route finding by our guides, not to mention the veracity of those rapids we are scouting. 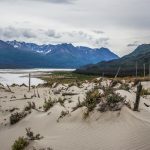 The intrepid adventurer is rewarded with unbelievable vistas of the Wrangell, Chugach & St Elias mountain ranges, hiking on ancient sand dunes, and traveling through a wilderness that is practically untouched by humans. Colorado River: The Grand canyon has some BIG rapids, that is for sure, but did you know that it is almost 80% flat water? Trips in the canyon are designed for all skill levels, you can take your time on an oar trip, cruise through on a faster paced motor rig, adventuring in the Grand Canyon has been turned in to a science by the multiple outfitters. 5. Food & Comfort: Grand Canyon and Tana – excellence all around! Tana River: This is one area where we are proud to emulate the Grand Canyon outfitters in style. Our founder, Nik Merlino, got his start packing food for Grand Canyon trips way back in his youth. 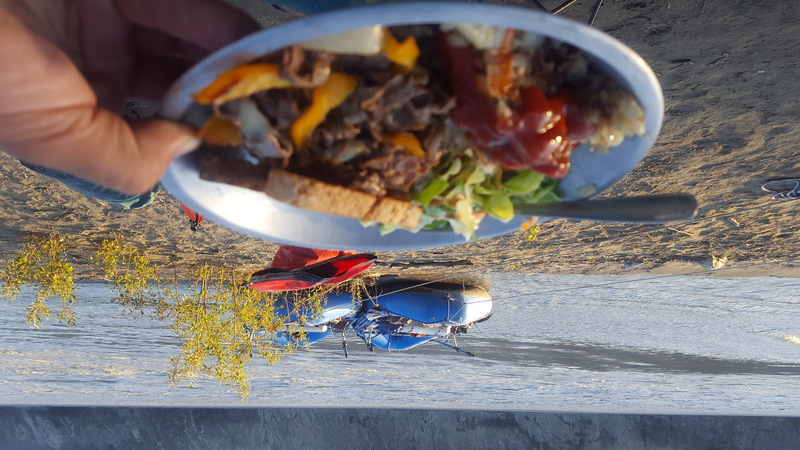 When he started McCarthy River Tours, he started it with the idea of offering the same high quality, ‘glamping’ style meals that you would find on a Canyon Trip, with an Alaska flare of course. Salmon, Pastas, Salads, Dutch oven baked goods like Lasagna and Brownies, hot breakfast & plenty of coffee! We are very proud of our river menu, we try to source Alaska products and we have an abundance of creativity. 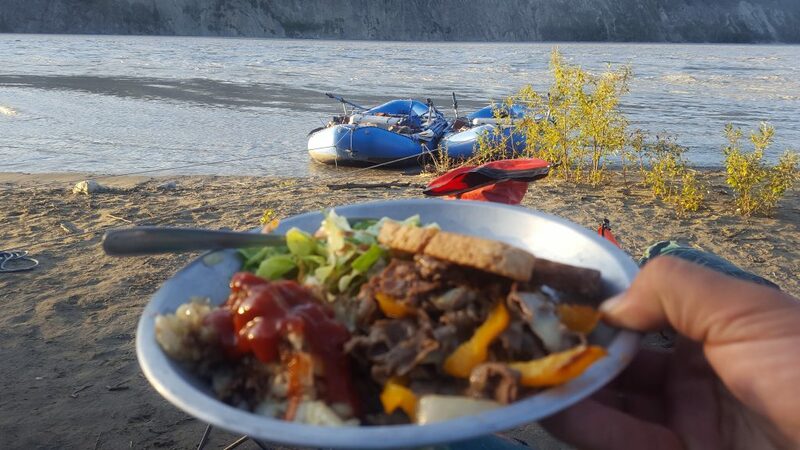 Colorado River: Back in the old days, if you took one of rafting legend Georgie White’s river trips, you were served PB & J for lunch and what she affectionately referred to as “Mystery Meal” for dinner. What, you may ask, is mystery meal? Georgie would stock up on canned meals prior to each trip which she would cut the labels off of. You simply picked a can from the collection and that’s what you got that night! Grand Canyon meals have come a long way over the years and transformed expectations across the industry. The Grand Canyon outfitters lead the way with wonderful culinary delights and plenty of hearty food during a Grand Canyon river adventure. We are proud to offer meals of the same caliber as the meals offered there. In Conclusion: Both rivers are extraordinary lifetime experiences. Avid Grand Canyon Rafters and Peak Adventurers – consider a Tana River expedition in Alaska for a major adventure level upgrade with zero crowds. The Grand Canyon is a bucket list adventure on many people’s list, indeed! The Tana River compares similarly to the amazing Grand Canyon Colorado River trip experience on many levels. It also offers a remote wilderness and “first explorer” experience unmatched by anything else in the lower 48. The Tana River is a great “whats next?” trip for people have been on a canyon trip or for anyone that is seeking out an adventure of a lifetime in a location that so very few people are lucky enough to visit. Learn more about your Tana River trip options here.